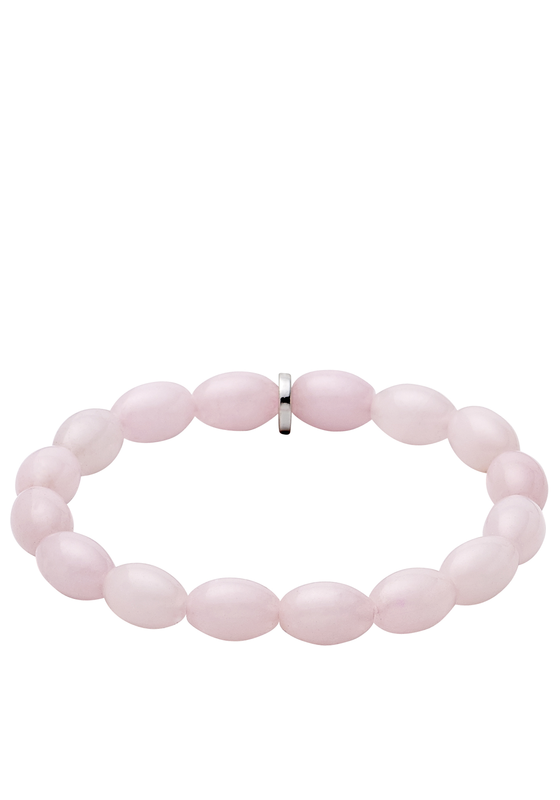 A beautiful bracelet from the Eternity collection by Pilgrim jewellery is made up of light pink beads. There is one round pilgrim branded logo presented between two of the beads. This bracelet slips over your hand with the elastic band under the beads.